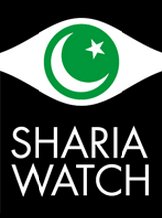 Sharia Watch UK claims that it works ‘to document the advancement of sharia law in Britain’. It is led by former UKIP candidate Anne Marie Waters. The organisation was launched in the House of Lords in April 2014, hosted by Baroness Cox, a peer who has previously invited far-right Dutch politician Geert Wilders to show his anti-Islam film Fitna. Charlie Klendjian of the Lawyers Secular Society also spoke at the event. Waters also registered the domain name for Sharia Watch in April 2014. Attendees at the launch reportedly included journalists from The Times, Daily Telegraph and the International Civil Liberties Alliance. Sharia Watch released a report called 'Learning Jihad' in November 2014 which claimed that schools, universities and even scout groups were being 'infiltrated' by 'Islamic extremists'. The report which incorporated evidence from Student Rights, a project of the Henry Jackson Society, was picked up and covered by the Sunday Telegraph and Daily Mail. Besides its report, other articles appearing on the Sharia Watch site include one written by Sam Solomon, a key player in the UK’s anti-Muslim scene, and a guest post by Alan Craig of the right-wing Christian People’s Alliance, who campaigned against the building of a new mosque in East London. Founder and spokesperson Anne Marie Waters and Charlie Klendjian of the Lawyers Secular Society were due to speak at the University of West London in November 2014 but the scheduled event was cancelled, after complaints, though the pair later spoke at the University of Manchester. In early July 2015 Sharia Watch founder Anne Marie Waters announced she was planning to host an exhibition of cartoons of the prophet Mohammed in London and Dutch anti-Islam MP Geert Wilders would be guest speaker at the event. However, by late August the event had been called off. Waters told the media the cancellation had been because there was a 'real possibility people could be killed'. However, Hope Not Hate implied in a report released in July 2015, that Waters - well aware of how provocative the proposed event was - may have hoped to spark violence, with the intention of instigating a 'civil war', commonly held to be inevitable in counterjihad circles which see Islam and 'the West' as incompatible.. This interpretation was first put forward by Jim Dowson, former fundraiser for Britain First who had attended a meeting in the first half of June with Waters, Alan Ayling and Stephen Yaxley-Lennon and - alarmed by what he believed to be their dangerous aim - blew the lid on the plan on the Knights Templar blog. Hope Not Hate also pointed out that Waters had struggled to find a venue willing to host the exhibition, that Lord Pearson had got 'cold feet' and that Lennon had been returned to prison. During a Spinwatch investigation, Sharia Watch founder and spokesperson Anne Marie Waters failed to respond to repeated questions about whether Lars Hedegaard, with whom she has shared a platform, or Alan Ayling, who has watched her speak and appears to be an admirer, fund the organisation, and did provide any information about its donors. After the publication of a critical article which raised question about its funding, Waters published an article on the Sharia Watch website, stating that neither Ayling nor Hedegaard were donors. She declined to reveal who was funding the operation, however, stating that this was 'none of your business; it isn’t the EDL, or Lars Hedegaard, or Nick Griffiin, or Mossad, or Peppa Pig'. Anne Marie Waters, Sharia Law: Britain's Blind Spot, April 2014. Sharia Watch, Learning Jihad, November 2014. This page was last modified on 15 December 2015, at 08:21.